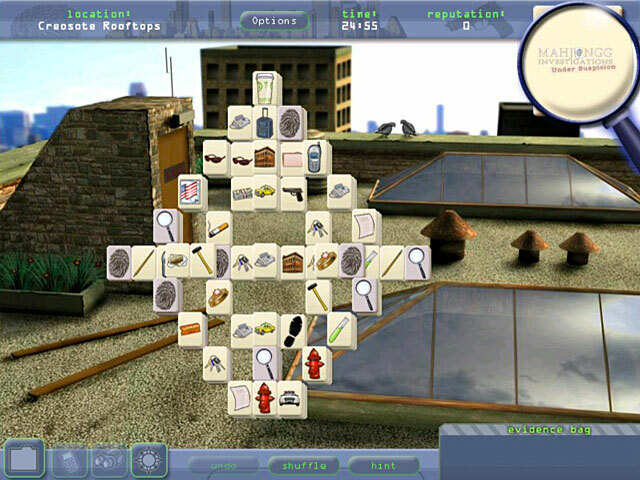 Play the role of a mahjongg Master Detective and use your matching skills to hunt down criminals and solve mysteries!Master mahjongg to solve mysteries!Organized crime is taking over Metro City! 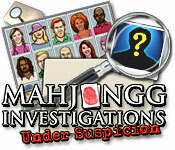 As a mahjongg Master Detective you must use your matching skills to unearth clues and bring the criminals to justice. 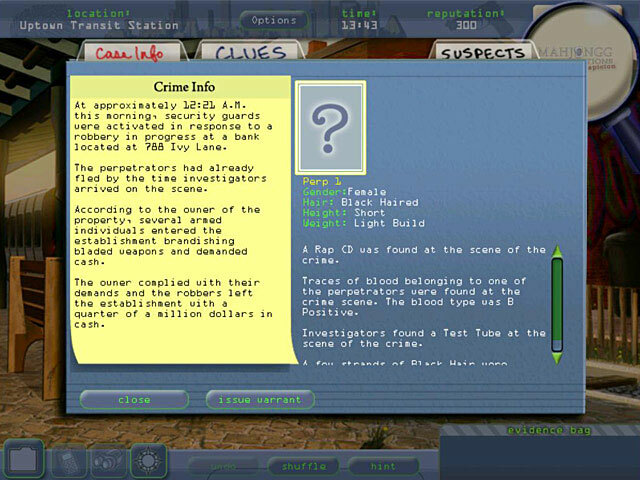 Collect and match evidence tiles to pinpoint perpetrators. 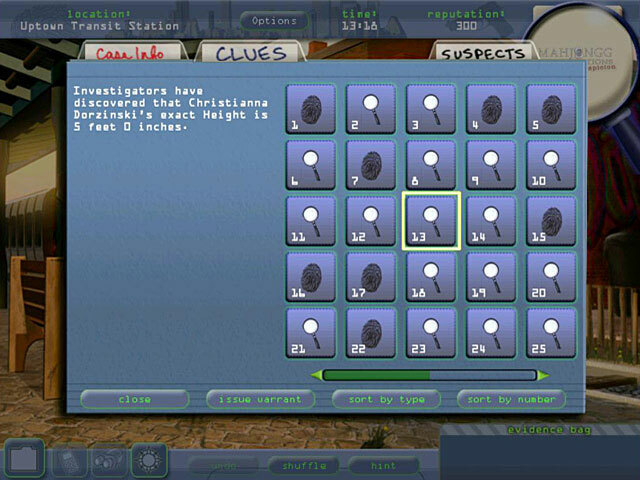 Special clue tiles reveal hidden information and mini-games throughout allow you to interrogate, analyze, and close the case! Build your career as you make the streets safe for the good people of Metro City.